About Handles: These handles are handmade and made by experienced craftsmen of India. Every piece is beautiful and available in multiple designs. 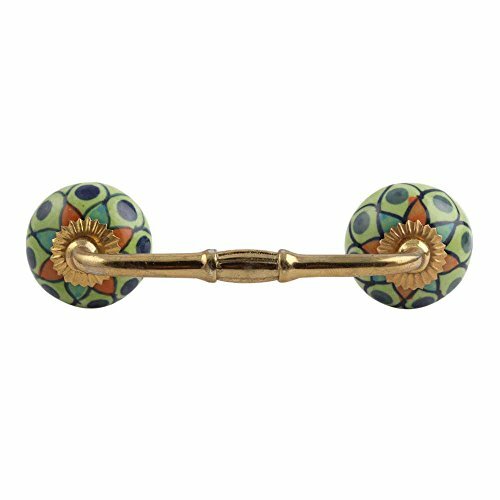 About Showroom: Quirky, sophisticated, trendy whatever statement you want to convey about your personal taste, there is a huge collection of handmade Pulls/Handles. Products are made from traditional techniques, skills and hand-based processes. We promote green products, craft based, contemporary and affordable.6 Month Replacement Guarantee on All Manufacturing Defect. T&C: 1- IndianShelf will Require Pictures as a Proof, In Order to Approve the Replacement. 2- Guarantee Does not Apply on Hardware Polish, which Normally Gets Affected with Time & Use. 3- Returning Cost of the Defected Piece will be Paid by the Buyer, Fresh Replacement will be Sent by IndianShelf and Sending Cost will be Paid by IndianShelf. 4- Guarantee Does Not Cover Any Breakage or Defect which might Occur Due to Buyer While Using the Product. PLEASE NOTE: This item is made exclusively by “IndianShelf”. If the “Ships from and Sold By” above says any seller besides “IndianShelf” then please click on “Offers” to select “IndianShelf” as the seller. Otherwise the item will be different from the image and lower quality. IndianShelf Only Sell 100% Genuine and High Quality Products. 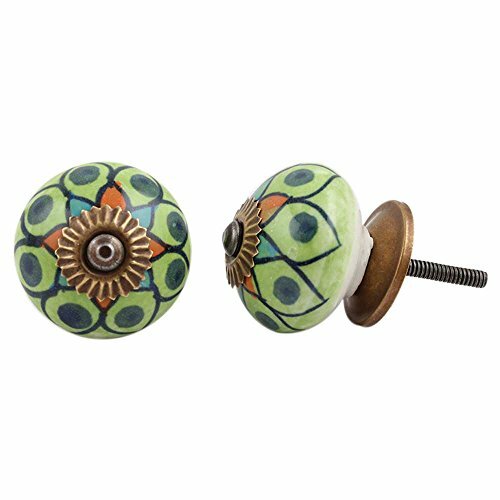 Material: Ceramic and Metal, .1.5 Inches Diameter Approx, 1.5 Inches Projection Approx, Bolt Size: 1 Inches. If You Want Longer or Shorter Screws then Send your Requirement after Placing the Order. Please Note: This Item is Made Exclusively by “IndianShelf” and We Do Not Resell Our Products. If the “Ships from and Sold By” Above Says Any Seller Besides “IndianShelf” Then Please Click on “Offers” to Select “IndianShelf” as the Seller. Otherwise the Item will be Different from the Image and Lower Quality. IndianShelf Only Sell 100% Genuine and High Quality Products.